Not everywhere in the U.S. is a congested commuter hellhole. According to Jalopnik readers, there are at least ten places in the country where owning and driving a car is a pleasure, not a daily torture. Where&apos;s The Best Place To Own A Car In America? Why it's so good: It snows a lot in Detroit, the roads are poorly surfaced, and insurance rates aren't what you would call low. But it is Motor City. That's not just a cliché from when Martha and the Vandellas were on the radio. Car culture is alive and well. From the Woodward Dream Cruise to the Detroit Auto Show, there are more car-related events in town than you could ever attend. Why it's so good: Northern California has a stretch of mountains along the Pacific called the Coast Range. It means that there are sweeping, beautiful waterfront roads on one side, and tight, snaking mountain roads on the other. It is unbelievably perfect for driving. 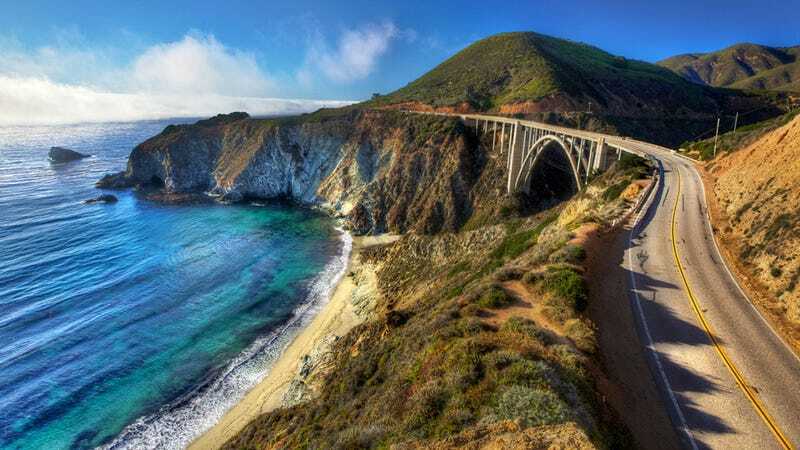 If you have the money, Marin County, north of San Francisco, is the gateway to the legendary Pacific Coast Highway. If you are feeling a bit more daring, go further north and the roads get even better. You do still have to deal with high gas prices, smog tests, and the California DMV, so it's not perfect. Why it's so good: Utah is similar to well-renowned driver's state Colorado in that it has fantastic canyon roads and low costs of car ownership. Utah also has Miller Motorsports Park in Tooele, where track access for this 4.5-mile circuit is just $25. Why it's so good: The gas is cheap, insurance costs and taxes are low, cars that are over 11 years old never need to be re-registered, and there's no smog check. You can hot rod your car any way you please, and the roads are fantastic. Why it's so good: Georgia and its surrounding states could be the country's best area for car owners altogether. The weather is mild, the cost of ownership is low, and the backroads twist through beautiful scenery. Georgia stands out because there is no emissions testing for diesel cars whatsoever. Get a TDI and modify it all you want. Stick a tractor engine in there for all the state cares. Why it's so good: The Southwest preserves cars. It's dry there, so it's easy to find classic cars for sale and keep them on the road. Arizona is particularly accommodating. There are no tolls. The emissions testing is lax. There's great offroading all through the state. If you stay on the road, you'll find twisting bends through the mountains and fast, straight highways through everything else. Why it's so good: In New Hampshire, it's almost too easy to own a car. You aren't required to have insurance and with no sales tax, New Hampshire is the least expensive state to own a car in America. As you can see, the roads through the state's mountains are unbelievably gorgeous, too. Why it's so good: There's no better state for mountain driving. It's cheaper to own a car here than in California's Sierra Nevadas, and if you're outside of the cities there are no emissions or safety tests either. Why it's so good: Asheville is on this list because it is a nice small city in Western North Carolina, the driver's paradise. Speed limits and emissions testing are more strictly enforced here than in neighboring states, but Western NC has the roads to make up for it. The cost of buying a car is low, as is the cost of ownership, and every weekend you can drive the Blue Ridge Parkway or the hundreds of other twisting roads in the area. Why it's so good: Gas prices are low, the drivers are courteous, the winters are reasonable, and the roads are unbelievable. They're lightly trafficked and tourists don't clog them up like the Tail of the Dragon and other southern routes. The police that patrol Tennessee's byways aren't as strict as the cops in neighboring states, as well. Perfection.